Why Do People Use Chaparral? The oral preparations of Larrea tridentate (Chaparral), like chaparral powder, are used for purposes like arthritis, cancer, common cold, chronic skin problems, CNS conditions, as an antiparasitic, weight loss agent, bowel cramps and tuberculosis. 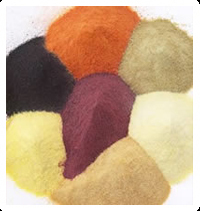 Other reasons to use chaparral powder are for venereal disease, as a tonic, detoxification, blood purification, for respiratory and genitourinary tract diseases, antiflatulent, for musculoskeletal inflammation treatment, GI conditions, skin diseases, chickenpox and snakebite pain. Possibly unsafe - Oral consumption of chaparral powder is considered unsafe in several conditions. Some of them are acute hepatitis, serious poisoning, irreversible failure of renohepatic systems and damage of liver and kidney. Likely Unsafe for Lactating and Pregnant Females - Larrea tridentate usage in pregnancy and lactation may be unsafe. There are a number of complaints reported due to the usage of chaparral that include acute hepatitis, serious poisoning, irreversible renohepatic failure and liver and kidney damage. So, such women should discontinue chaparral during these stages. To rate effectiveness of chaparral there is lack of authentic information available. The most effective part of Larrea tridentate is it leaves. Nordihydroguaiaretic acid (NDGA), which is a constituents of chaparral powder, may be responsible for inhibiting lipoxygenases and may have antioxidant properties. It is also related with the release of platelet derived growth factors and intracellular activation of members of protein kinase C family, which recommends that it may possess anticancer activity. Nordihydroguaiaretic acid (NDGA) may also be responsible for hepatotoxicity and nephropathy related to the usage of chaparral powder. However the definite mechanism of toxicity is not known. Nordihydroguaiaretic acid (NDGA) may also have antiviral and antifungal activity. What Are The Side Effects /Adverse Reactions of Chaparral? The oral consumption of chaparral powder may cause signs of fatigue, hepatoxicity including jaundice, dark urine, abdominal pain, nausea, light stools, weight loss, diarrhea, anorexia, cirrhosis, fever, cholangitis, cholestasis, liver and kidney failure and acute hepatitis. There are a number of reports of hepatotoxicity with a minimum of two requiring liver transplant. Utilization of chaparral tea has been related with cystic adenocarcinoma of the kidney and cystic renal disease. Some initial confirmations suggest that chaparral low quantity dosage are likely safe for peoples. So patient should discontinue chaparral till further confirmations are available regarding its safety. Topically, dermatitis is reported due to the use of chaparral preparations. How Chaparral Interacts With Other Herbs and Supplements? Hepatotoxic Supplements and Herbs - Use of chaparral powder has been linked with hepatotoxicity in several instances. Theoretically speaking, concomitant use of Larrea tridentate and hepatotoxic herbs and supplements may cause additive adverse effects on the liver. Some of the products that may put adverse effects on liver include uva ursi, borage, bishop's weed and other products. How Chaparral Interacts With Drugs? Hepatotoxic Drugs - Interaction rating between hepatotoxic drugs and chaparral powder is moderate so be careful of this combination. Some preliminary experiments have suggested that chaparral powder may have additive adverse effects on liver when utilized in combination of hepatotoxic drugs. Few of the drugs that have shown hepatotoxic effects on liver include amiodarone (Cordarone), acetaminophen (Tylenol), isoniazid (INH), carbamazepine (Tegretol), methyldopa (Aldomet), methotrexate (Rheumatrex) and others as well. How Chaparral Interacts With Foods? There is no known interaction between Larrea tridentate and other food items. How Chaparral Interacts With Lab Tests? Liver Function Tests - According to some initial confirmations, chaparral may derange and increase liver functions tests results including aspartic acid transaminase, alkaline phosphatase, total bilirubin, alanine aminotransferase, lactate dehydrogenase and gamma-glutamyltransferase. How Chaparral Interacts With Diseases and Conditions? Liver Disease - Chaparral powder may intensify liver dysfunction in those individuals who are already suffering from liver diseases. What Should Be the Dose/Administration of Chaparral? There is no typical dosage for chaparral. Authorities like the U.S food and drug administration and Canada health departments have suggested consumers to discontinue chaparral containing products due to the lack of safety authenticity. But regardless of warning issued by the U.S. food department, chaparral powder is still widely available in markets. As this herb is not a recognized natural health product, therefore, Canadian Health department has not permitted its use. However, chaparral is sometimes used as an ingredient in diluted form in homeopathic preparations.